Well term 3 went fast! We have put together a great list of events, activities and programs for these Spring school holidays (Sat 17th Sep - Sun 2nd Oct) to keep you and the kids busy! ACMI - SChool Holiday Program (17th Sep - 2nd Oct). Kids movies and a number of movie, animation, minecraft, codign and lego workshops for kids. More info here. ArtPlay - 'Play' (7th Sep - 30th Oct). 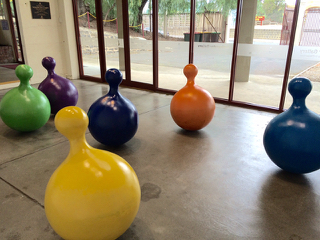 Kids can listen to calming music while giving bulbous sculptures a gentle nudge. Our review of Play last year and more info here. Arts Centre Melbourne - Snugglepot & Cuddlepie (17th to 25th Sep). Celebrate the 100th anniversary of May Gibb’s first book Gumnut Babies with the beautiful theatre production of Snugglepot & Cuddlepie at the Arts Centre Melbourne. Checkout Kate's review of the preview event here. ArtVo - Interactive Art. Children and their parents can experience art in a whole new way and practice their photography and selfie skills in over 10 gallery zones! Kel's review here. Chinese Museum - Moon Festival Stories and Crafts Workshop (19th Sep). Kids can participate in traditions and learn paper craft skills and hear great Chinese legends of the moon. More info here. Collingwood Children's Farm - Family Day (2nd Oct). The next Family Day will be on the last day of the school holidays. 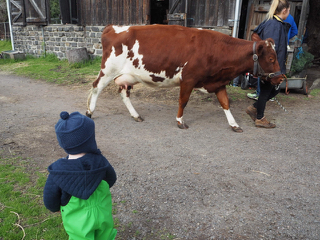 Little ones will love a day on the farm, cuddling guinea pics, brushing the cow, helping milk the cow, go on tractor rides and walk around the farm. Bring the gumboots! Read Kate's review of Family Day here. Dandenong Festival of Lights - (ends 9th Oct). See 500 beautiful and unique silk lanterns. The kids will love checking out all the different lanterns and the entertainment. Cute penguins, pandas galore, zodiac signs, dinosaurs, tigers, Australian animals and more! Read Kate's review & tips here. Darebin Arts and Entertainment Centre - Circus Oz TWENTYSIXTEEN (28 - 29th Sep). Darebin Arts is bringing the circus to Preston with Circus Oz's latest show. More info here. Foxtel Footy Festival (30th sep - 3rd Oct). The Foxtel Footy Festival celebrates the best Melbourne has to offer in food, music, movies, and of course, footy. Free for fans and a kids zone. More info here. 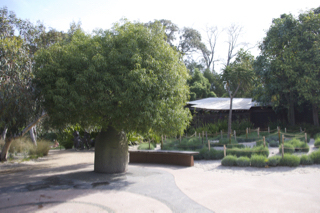 Ian Potter Children's Garden - Visit the garden and attend special Snugglepot & Cuddlepie event (20th - 22nd Sep). Lots of space to run around, play in the little waterway, sandpit, veggie garden and explore! 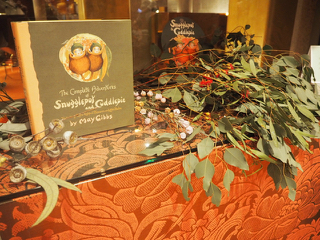 Listen to a special May Gibbs' story and create your own magical gumnut to take home. Read our review of the Garden and info regarding the special event here. IMAX - Take the kids for some 3D Movie fun these holidays. The Secret Life of Pets 3D, A Beautiful Planet 3D and Prehistoric Planet 3D. On at various dates and times. More info here. Immigration Museum - A Picture Speaks a Thousand Words (17th Sep - 2nd Oct). If you could pick one picture to represent your family immigration story, what would it be? Craft an image that represents your immigration story and include it in our family album that will be on display for our visitors. Flick through other family pictures to discover the similarities and differences between your stories. All Ages. Free with entry. More info here. Melbourne Fringe (15th Sep - 2nd Oct). Lots of kids shows and activities including Bellbird by Polygot Theatre. Various dates and times. More info here. Melbourne Fringe - Big Tops and Tiny Tots Circus Show (17th - 25th Sep). A circus adventure for 3-6 year olds. Roll up! Roll up! Run away to the circus with this fun and physical show by Solid State Circus performer Luth Wolff. With hula hoops, unicycle, magic and plate spinning, Luth takes kids on a madcap circus adventure, with plenty of help from the audience! More info here. Melbourne Fringe - The Boy who was born with a Moustache (17th - 25th Sep). What happens when you don’t quite fit? When you simply don’t look like everybody else? This kooky tale for kids speaks of facing up to adversity and turning your supposed foibles into your finest attribute! Monica Trapaga (from Playschool) and her family bring quirky circus, comedy and storytelling together to tell the tale of the Boy Who Was Born with a moustache. More info here. 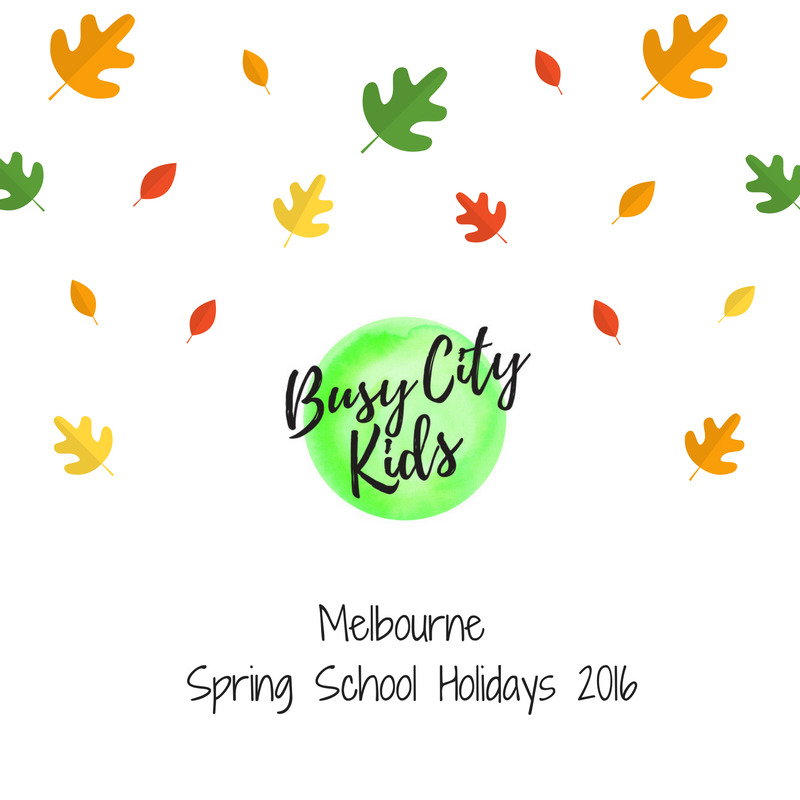 Melbourne Library Service - School Holiday Program (19th - 29th Sep). Kids can enjoy a great range of activities at various libraries. Crafternoon, magic act, puzzles puppets workshops, Westide circus workshops, silly stompers, Bubble Stompers and Australian Animal Show and more. All FREE! More info here. Melbourne Museum - Devonian Seas - Virtual Reality Experience (17th Sep - 2nd Oct). Dive into the Devonian seas and view prehistoric life in an ancient, underwater world created by the Melbourne based Zero One animation studio. More info here. Melbourne Museum - Carboniferous Critters (17th Sep - 2nd Oct). In the Carboniferous period (359 – 299 million years ago), Arthropods (invertebrates with exoskeletons) dominated the land and the air and the high oxygen levels helped them to evolve to gigantic proportions. Join the Melbourne Museum in the Museum foyer and make your own Meganeura, a massive dragonfly, one of the most iconic giants of the Carboniferous era. More info here. Melbourne Museum - Jurassic World: The Exhibition (17th Sep - 2nd Oct). Based on one of the biggest blockbusters in cinema history, the exhibition immerses audiences of all ages in scenes inspired by the beloved film. Now, the park that was only a promise comes to life… right before your eyes. Must close October 2nd. Read Kel's review and tips here. Melbourne Zoo, Werribee Zoo and Healesville Sanctuary (17th Sep - 2nd Oct) - Teddy Vet Checks at Zoos Victoria. Teddies are precious and they deserve lots of love, care and special attention, just like the wildlife. During the Spring school holidays, kids are invited to meet the Zoos' special Teddy Check Teams and find out about the care Zoo animals receive too! The complimentary Teddy Vet Checks will be offered every day of the spring school holidays from 11am to 3pm at Healesville Sanctuary's Australian Wildlife Health Centre, Keeper Kids at Melbourne Zoo, and Ranger Kids at Werribee Open Range Zoo. Plush wombats, giraffe, and gorillas will be welcome too! Free entry for kids and for teddies for kids under 16 these holidays. More info here. Read our review of Teddy Vet Checks' preview event here. Polly Woodside - Pirate Day (2nd Oct). 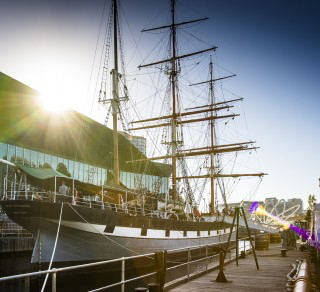 Bring along your scallywags and get onboard of the Polly Woodside tall ship for a day of adventures. Treasure hunt, pirate games, arts and crafts and more! Join the Polly crew for a tour of the ship and discover what life was like on a tall ship sailing the seven seas. More info here. Royal Melbourne Show - Melbourne Showgrounds (17th - 27th Sep). Kids will love the show with lots of farm animals, activities and shows on during the day, meets & greets, rides and parents and carers can enjoy great food too! As well as sheep, poultry and beef judging and on display and lots lots more! We had a small taste of this year's show at a preview event, checkout Kel's review here. Checkout our review & tips on how to make the most of the show from last year here. Free for under 5's. Scienceworks - Test Lab (17th Sep - 2nd Oct). Make your own mini pinball machine, build a wind-powered Whirligig machine or join the Thing-amajig challenge! Test Lab is a new, pop-up, maker’s space for older children aged 10-15 years at Scienceworks, it’s a space to tinker with things and build cool stuff! More info here. Scienceworks - Re-Inventing the Wheel (17th Sep - 2nd Oct). Help Scienceworks celebrate the launch of our brand new exhibition Freewheeling with a spring holiday program exploring the science of movement! What wheels do you work with? How do you make them turn? In this live 20-minute science show we’ll widen your world-view of that ancient and wondrous invention – the wheel! All Ages. More info here. Scienceworks - Get into Gear (17th Sep - 2nd Oct). Why are wheels always circles? Can we have different-shaped wheels? How do gears help us change speed? Test out and build models to examine the inner workings of this most essential technology. All Ages. More info here. Scienceworks - Virtual Goalie (17th Sep - 2nd Oct). The Virtual Goalie interactive returns very soon to the Sportsworks exhibition at Scienceworks! We look forward to showing you the new active 3D technology featured in the exhibit. Thanks to the participation of Football Federation Victoria’s best young soccer players, the new Virtual Goalie will be a must-see experience for our visitors. All ages. More info here. State Library of Victoria Play Pod - Mr Chicken arriva a Roma (17th Sep - 30th Nov). Checkout the Play Pod's new theme and have fun with Mr Chicken Italian style! Hop on your Vespa and ride around Rome with Mr Chicken! Inspired by Australian Children's Laureate Leigh Hobbs' newest book Mr Chicken arriva a Roma, explore the wonders of ancient Rome, create giant bowls of spaghetti and take your tourist snaps! Checkout Kate's review of the last Play Pod theme and activities here. Tesselaar Tulip Festival - Childrens Week (8th Sep - 4th Oct). Set on 25 acres in the magical Dandenong ranges, families can wander the gardens and enjoy an action packed program full of live entertainment and activities to keep the kids busy and parents happy! Kids entry is FREE. Children’s Week program highlights include Ben & Holly’s Little Kingdom, Hoot and Hootabelle’s Owl Playdate and The Mik Maks (shows at various dates & times). Yummy food for the kids (and parents! ), along with a petting zoo, didgeridoo workshops, Fairy Monica storytelling, face painting, train rides, craft workshops and much more. More info here. Fancy a city visit? Checkout our TOP 5 Activities in the city with the kids here. And checkout our popular pages - Daily Spots - Playgrounds and Parents Rooms.